If you are have Microsoft Exchange and Microsoft Lync, then you may find this post interesting. It is about the Lync integration with Exchange Web Services EWS. Company A acquired a small company and they migrate them fully to their domain. Nevertheless, a couple of people wanted to have Tinkerbell.com as their primary SMTP address for business need. Now people with Tinkerbell.com as their primary SMTP address, are experiencing strange and broken behavior between their Lync 2013 client, and Exchange web services. 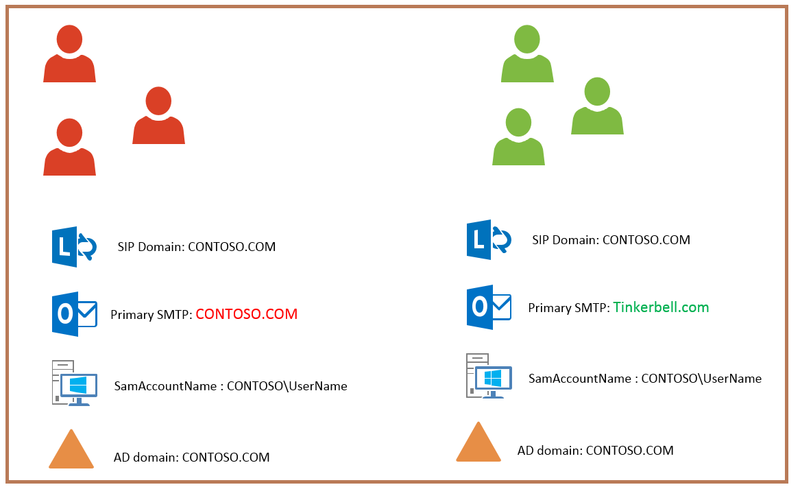 People with Tinkerbell.com as their primary SMTP address, still using CONTOSO\username logons, and CONTOSO.COM as their SIP domain. Adding TrustModelData Registry Key with value (Tinkerbell.com) to the machines with Lync 2013 client that are experiencing the problem. There is a group policy to configure this also in the admx/adml files for Office 2013 . This group policy setting called (Trusted Domain List) and it is mentioned here in this TechNet Article.